Web personalized services alleviate the burden of information overload by providing right information which meets individual user’s needs. How to obtain and represent knowledge needed by users is a key issue. 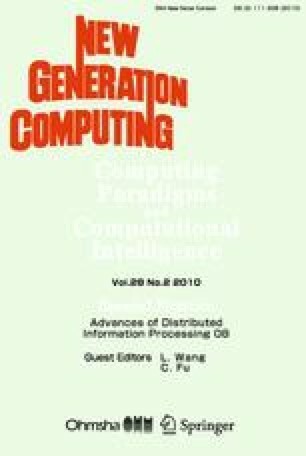 This paper presents Web Knowledge Flow (WKF) to represent the specific knowledge on Web pages and a model of Interactive Computing with Semantics (ICS) to provide a feasible means of generating WKF. Objective WKF (OWKF) and Real-time WKF (RWKF) are firstly proposed to satisfy staged and real-time user interests. Secondly, the generation algorithm of WKF is proposed based on Semantics Link Network. Thirdly, “interactive point” is introduced to detect the moment of user interests change to ensures the dynamics of WKF. Experimental results demonstrate that ICS can effectively capture the change of user interests and the generated WKF can satisfy user requirements accurately.